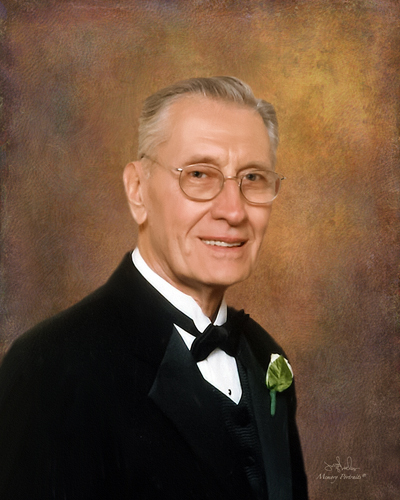 Clarence G. Schaefer, 91, of Fort Branch, IN, passed away on Monday, February 11, 2019 at St. Vincent Hospital in Evansville, IN. He was born on March 17, 1927 in Evanston, IN to the late Edward and Frances (Waninger) Schaefer. A Mass of Christian burial will be on Friday, February 15, 2019 at 11:00 A.M. at Holy Cross Catholic Church in Fort Branch, IN, with Fathers Tony Ernst and Ambrose Wanyoni co-celebrants. Burial will be at Holy Cross Cemetery where a Military Honors service will be conducted by the VFW post # 2714 and American Legion Post #194. Visitation will be on Thursday, February 14, 2019 from 3:00 P.M. until 7:00 P.M. at the Stodghill Funeral Home located in Fort Branch, IN, and again from 9:00 A.M. until service time at the church on Friday. A Rosary will be recited at 2:30 P.M. at the funeral home on Thursday. The family requests that in lieu of flowers, donations be made to Holy Cross Church.